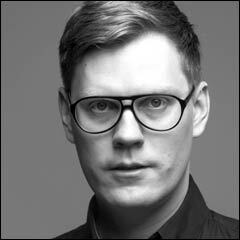 Aki Rissanen, born 1980 in Kuopio, Finland, is a Finnish pianist and composer. Although originally classically trained he has always had a heart for improvisation and jazz. His studies include classical piano at the Kuopio Conservatory, Finland (1990-2000); jazz music and education at the Helsinki Polytechnic School Stadia (2000-2002); jazz and improvised music at the Conservatoire National Superieur de Musique in Paris, France (2005-2006); private lessons in New York, USA and Cologne, Germany (2005-2008) and jazz piano and composition at the Sibelius Academy Jazz Department in Finland (2002-2009), where he received the Master’s degree. His teachers include Jarmo Savolainen, Jukkis Uotila, Kirmo Lintinen, John Taylor, Jim Beard, Anders Jormin, Hervé Sellin, Markku Hyvärinen, Jouni Kuronen, Seppo Kantonen, Frank Carlberg, Pessi Levanto and Mikael Jakobsson. Rissanen has made several extended stays in Paris, Berlin and New York and currently is based in Helsinki, Finland. Rissanen has released five albums under his own name in USA, Germany (Act Music; Ozella Music), France, Great Britain (Edition Records) and Finland and has recorded with such names as Dave Liebman, Rick Margitza, Tim Hagans, Magnus Broo, Jim Beard, Robin Verheyen and Verneri Pohjola. He has shared the stage with UMO Jazz Orchestra, Dave Liebman, Rick Margitza, Randy Brecker, Mats Gustafsson, Sten Sandell, Ingrid Jensen, Michael Gibbs, Barry Guy, Daniel Humair, Bill Watrous, Jukka Perko, Jukkis Uotila, Eero Koivistoinen and Ulf Krokfors among others. Rissanen is the leader of Aki Rissanen Trio with Antti Lötjönen (bass) and Teppo Mäkynen (drums) and a side project of this trio, entitled Amorandom featuring Petri Ruikka on visuals. He co-leads the trio Aleatoric with Robin Verheyen (sax) and Markku Ounaskari (drums); the duo with Verheyen, the quartets featuring sax greats Dave Liebman and Rick Margitza, the Frozen Gainsbourg quintet with Mikko Innanen (sax) featuring Swedish Emil Strandberg (trumpet), Norwegian Per Zanussi (bass) and Danish Stefan Pasborg (drums). German-born composer Sid Hille wrote a piano concert Motion for Rissanen in 2012 and the premiere was in the Laulumiehet Concert Hall in Helsinki in October on the same year. With trumpeter Verneri Pohjola Rissanen has worked over 10 years and is member of his quartet which has relased two albums for the prestigious ACT Records in Germany. The duo with Pohjola has seen many concerts, too. Newer groups include Esa Pietilä Liberty Ship, Mikko Hassinen Electro GT, Jori Huhtala 5, Pope Puolitaival United and Jukka Perkos orchestral productions Bird Lives!, Perko plays Simon and Garfunkel and a orchestral work by Heikki Sarmanto. Rissanen has earlier worked with, now defunct projects like Warp! with Eeppi Ursin, Verneri Pohjola and Joonas Riippa; White Light Quartet (international cast of members from FIN-FRA-BEL); Belfin Quartet (FIN-BEL); and Thalassa (FIN-GER-NOR). He has performed in most of the European countries, USA, China and North Africa. La Defense Festival, Paris, France (prizes for a best soloist and repertoire), 2006. The Young Nordic Jazz Comets Competition, Helsinki, Finland (winner of the Finnish trial in 2003 and 2005). Rissanen has taught jazz music in Sibelius Academy, Helsinki, Helsinki Polytechnic School Stadia, in several summer camps and has given private lessons. He has received an 1-year artist grant from the Finnish Cultural Foundation in 2009 and 2012.